Silent Night Anti Allergy 10.5 Duvet is rated 5.0 out of 5 by 3. 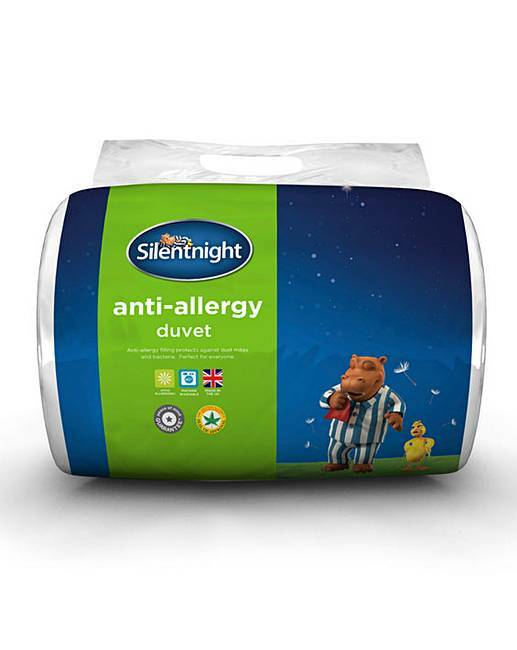 An anti-allergy duvet by Silentnight, made with an anti-allergy treated fibre to protect against dust mites. Perfect for allergy sufferers. 10.5 tog. Rated 5 out of 5 by godsend from Cosy duvet I bought this very recently so have not used it much as it was for a guest room, but it seems soft and warm. Rated 5 out of 5 by mavrik from to keep me warm in the winter i bought this a week ago it is the best thing i got for the winter thank you.